It’ll be all systems Jo, with this fantastic formula! System Jo Certified Organic Lubricant – perfect for your body, mind and soul. When choosing a lube, you want what’s best, long lasting and what closely matches your body’s natural fluids. With System Jo’s certified organic lubricant, you can be sure that you’ve made the right choice for your body and the environment. Pure and orgasmic pleasure is yours to enjoy with this organic lubricant. Nourishing for your body and completely cruelty-free, this thick, long-lasting water soluble formula will go the extra mile for your pleasure as well as your conscience. This certified all natural water-based lubricant from System Jo can be used every day, guilt and worry-free. 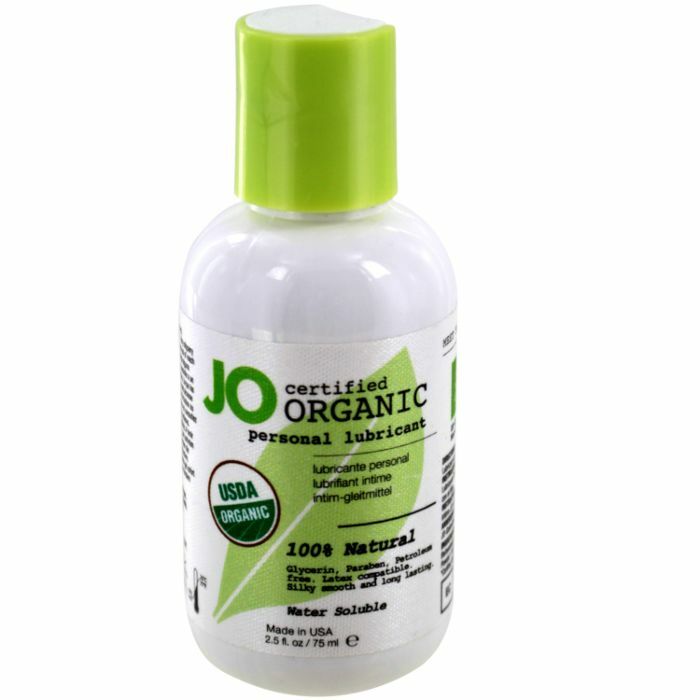 System Jo Certified Organic Lubricant is ethically manufactured in America and has been USDA certified as organic. This means it has followed the stringent and precise United States Department of Agriculture’s rules on its production as well as ingredients, with everything in it 100% organic and natural. It is also 100% vegan and cruelty-free, with no animal ingredients or testing – a truly ethical choice! It contains no parabens, glycerin or petroleum - just all-natural holistic ingredients that work in harmony with your body. This certified organic water-based formula is safe to use with latex condoms, cervical caps or diaphragms for your peace of mind.